SPORAH TV: MEETS MISS TEEN ENGLAND! SPORAH MEETS SADE DILLWORTH: MISS TEEN COMMONWEALTH INTERNATIONAL. Hey, Welcome to The Sporah Show! SPORAH AND MISS TEEN ENGLAND! Sade is a UK born raised in Essex with an all round participation in the arts since a child Sade a student oft Kate academy where she explores dance, music, acting and modelling Though Modelling is her a main career part Sade also show interest in the third world countries charity relation. 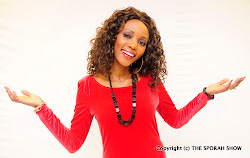 Sporah chatting with Sade Dillworth: Miss Teen England and Raining queen of Miss Teen Commonwealth international 2010/11. Sade Dillworth Miss Teen England and Raining queen of Miss Teen Commonwealth international 2010/11. Sade did not only win the crown but she broke the recorded by being the youngest to ever enter the pageant at 15. MISS TEEN ENGLAND AFTER THE SHOW! Sade Dillworth Miss Teen England and Raining queen of Miss Teen Commonwealth international 2010/11 posing for the camera's after the show. where is the facebook vasion? Check your facebook msg plzz! Acheni kuwakomaza watoto jamani heee! Sporah unamambo, nimependa sana nywele zako. Sporah napenda sana unavokujaga kivyakovyako, great style my sis. Nimependa saaaaaana kiatu chako na nywele offcaurse as always. Nakupenda sana na i hope to meet you one day. Nimevipenda viatu, gauni, hereni na nywele. He sporah, kumbe na miguu umejaliwa!!!!!! Braaaaaavo my darling braaaaaavo....*standing Sporah, da shoezzzzzz. Woman! I like that Spirit in you, very strong, wise woman. you inspired me alot Sporah. I love you. 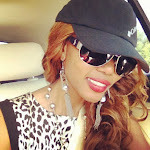 Sporah your the one who always emphasise about BEAUTY & BRAIN OR BEAUTY WITH THE PURPOSE, Here we are. I want to watch this one seriously please let us know when its On. 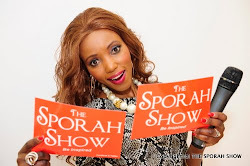 Am loving your prifile picture on The Sporah Show Facebook page. Very nice. You and Sophy! I admire you guys alot. Keep up the good work.